The University of Essex is a public research university in Essex, England. It was established in 1963, welcomed its first students in 1964 and received its Royal Charter in 1965. Essex's motto, "Thought the harder, heart the keener", is adapted from the Anglo-Saxon poem The Battle of Maldon. Thought the harder, heart the keener. Essex's largest campus is the Colchester Campus within Wivenhoe Park, less than a mile (1.6 km) from Wivenhoe and two miles (3 km) from Colchester. There is also a campus in Southend-on-Sea and East 15 Acting School is based at the Loughton Campus. Essex has collaborative partnerships with 18 institutions around the world. UK partnerships include Kaplan Open Learning (provider of University of Essex Online), Tavistock and Portman NHS Foundation Trust and University of Essex International College. International partnerships include a franchise arrangement with Kaplan Singapore and double and dual degrees with several universities in Europe and Asia. Essex is ranked 251-300 in the world by the Times Higher Education World University Rankings 2019, 22nd in the UK in The Times/Sunday Times Good University Guide 2018 and 26th in the UK in The Complete University Guide 2019. Essex was named University of the Year at the Times Higher Education Awards in November 2018. The Research Excellence Framework (REF) in 2014 ranked Essex in the top 20 universities in the UK for the quality of its research and the top 5 for social science. Essex is in the top 50 for the social sciences and law in the Times Higher Education World University Rankings 2018 by subject. Essex has produced many notable alumni in several fields, including two Nobel Laureates, prominent scientists, artists, and politicians. In addition, there are two former academics who are Nobel laureates. In July 1959, Essex County Council accepted a proposal from Alderman Leatherland that a university be established in the county. A University Promotion Committee was formed chaired by Lord Lieutenant of Essex, Sir John Ruggles-Brise, which submitted a formal application to the University Grants Committee requesting that a University of Essex should be established. Initial reports suggested that the Promotion Committee had recommended Hylands Park in Chelmsford as the site for the new university, however in May 1961, the foundation of the university was announced in the House of Commons with Wivenhoe as the preferred location and in December of the same year, Wivenhoe Park was acquired for the new university. In July 1962, Albert Sloman, Gilmour Professor of Spanish and Dean of the Faculty of Arts, University of Liverpool, was appointed as Vice-Chancellor and R. A. Butler, was invited to be Chancellor, with Anthony Rowland-Jones appointed as Registrar. The first Professors were appointed in May 1963: Alan Gibson in Physics, Peter Townsend in Sociology, Donald Davie in Literature, Richard Lipsey in Economics, Ian Proudman in Mathematics, Jean Blondel in Government, and John Bradley in Chemistry. With its first staff appointed, a development plan for the university was published and a £1million Appeal Fund was launched. Within six months the Appeal Fund had exceeded its £1million target with The Queen Mother and Sir Winston Churchill among contributors, while work began on clearing the site for building work. In Autumn 1963, red was chosen as the university colour and the first prospectus was prepared and work began on the first permanent buildings; the science block and boiler room next to Wivenhoe House. In January 1964, Hardy Amies designed the university's academic robes and temporary teaching huts had to be erected close to Wivenhoe House, while in March Sir John Ruggles-Brise was appointed the first Pro-Chancellor and Alderman Leatherland the first Treasurer of the university. Two months later the university's Armorial Bearings were published, with the motto "Thought the harder, heart the keener". In October 1964, the first 122 students arrived with 28 teaching staff in three schools: Comparative Studies, Physical Sciences and Social Studies. Departments of Chemistry, Physics, Government, Sociology, Literature, Mathematics and Economics open along with the Language Centre (later the Department of Language and Linguistics) and the Computing Centre (later the Department of Computer Science and Electronic Engineering) with Denis Mesure elected as the first President of the Students' Council. Work started on the first residential tower, Rayleigh, in December with The Queen approving the grant of Charter to take effect from 11 January 1965. 1965 brought 399 students enrolling for the start of the new academic year; the number of academic staff more than doubled to 61; and the first degrees, five MSc and five MA degrees were awarded. The Physics building opened and the first six floors of Rayleigh tower were ready for occupation, while work began on the Albert Sloman Library. The first female lecturer was appointed: Dorothy E. Smith in the Department of Sociology. In December, University Court met for the first time with around 500 members. Six months later, work started on the Lecture Theatre Building, plus the 'Topping out' of Keynes tower. In October 1966, the Hexagon Restaurant and General Store opened, with the number of students reaching 750. Lord Butler was installed as Chancellor at a ceremony held in Colchester's Moot Hall in 1967 and the first Honorary Degrees were presented, the university's mace was carried for the first time, while the first annual Degree Congregation saw 135 degrees conferred in July. At the start of the next academic year, the departments of Computer Science and Electronic Systems Engineering accepted their first students, the SSRC Data Bank (later renamed the UK Data Archive) was established and the Lecture Theatre Building and Library opened along with the first phase of the Social and Comparative Studies building, while work proceeded on Tawney and William Morris residential towers. The University of Essex was at the forefront of 1960s student unrest. At a time of worldwide protest against the Vietnam War, the student movement was taking off all over the world. In March 1968, a demonstration against a visit to the university by Enoch Powell received national publicity. Seven students were summoned to disciplinary hearings but student sit-ins prevented these hearings taking place. On Tuesday, 7 May 1968, Dr Thomas Inch from Porton Down came to give a lecture at the university. In a carefully planned demonstration, an indictment was read out as Inch attempted to speak, citing chemical and biological warfare activities at Porton Down. University authorities called in police with dogs, probably for the first time in an English university. Students outnumbered police and managed to prevent arrests. On Friday, 10 May, three students, Pete Archard, Raphael Halberstadt and David Triesman (now Lord Triesman) were suspended and ordered off the campus. No evidence or charges were notified to the students, and no opportunity was given for the students to present their defence. The university's magazine, Wyvern, reported that on Monday, 13 May, "Students picket all entrances to the university from early morning distributing leaflets calling all students and staff to meeting to discuss suspension of the three students. A huge meeting attended by nearly all the university population, voted overwhelmingly to refuse to participate in the university – in its place a Free University was declared ". After a week the three students were reinstated. Many Essex students joined protests in Paris over the summer of 1968 and unrest on the Colchester campus continued into 1969. Between the 1970s and the 1980s, the university added a health centre, day nursery, printing centre, bookstore, exhibition gallery and expanded the current student residences. New student residences were also constructed. The departments of philosophy, school of law, human rights centre and the department of biological sciences were opened. In the late 1970s, financial problems plagued the university and threatened its existence. During this later period of the 70s to the early 80s, the university began concentrating its teaching into large departments. Cooperation with local companies was forged, allowing the university to secure vital research contracts. Due to its growing international reputation, the university began to attract a sizable number of International students. In 1987 Martin Harris was appointed Vice-Chancellor, taking over from the founding Vice-Chancellor, Albert Sloman. Also, in this year, University of Essex alumnus Oscar Arias won the Nobel Peace Prize. The university entered the 1990s with the expansion of its facilities, adding new residential blocks to provide further living space for its student population between 1991 and 1992. The Rab Butler building was opened in 1991 as the headquarters for the British Household Panel Survey. By its 30th anniversary in 1993, the university had built itself up into 17 key departments, providing education and research opportunities for 5,500 students, and employing 1,300 staff and faculty. The university also contained 5 industrial units and housed the Economic and Social Research Council's Data Archive. Further expansion continued to take place after 1993, with the £5.5 million expansion scheme for the provision of 234 new apartments for 1,200 students in a new student village. On 25 November 2004, Her Majesty the Queen and the Duke of Edinburgh visited the university as part of its 40th anniversary celebrations (1964–2004). Some of the longest running members of staff were invited to meet them at the presentation including the first student, John M. Dowden. Starting postgraduate research on fluid dynamics at the age of 23 in 1963, John later became a professor of mathematics and was the head of the Mathematics Department from 2001–2005. He retired in September 2008. The university continued to expand. At the Colchester Campus, the Network Centre building opened in May 2004 housing the Department of Electronic Systems Engineering and parts of the Department of Computer Science (who merged in 2007 to create the School of Computer Science and Electronic Engineering). University Quays, a student accommodation complex housing 770 students, opened in September 2003. The Ivor Crewe Lecture Hall, with a 1,000 seat capacity, opened in 2006. The building was designed by the architect Patel Taylor and attracted a mixed response. Prince Charles referred to it as 'like a dustbin', while the Civic Trust, a charity of which he is patron, awarded it a Civic Trust award (2008) for making 'an outstanding contribution to the quality and appearance of the environment'. The building was named after Sir Ivor Crewe in April 2007, to mark his retirement from the position of vice chancellor, a position he had held since 1995. The Gateway Building at the Southend Campus was opened in January 2007, providing facilities for Essex Business School, East 15 Acting School and the School of Health and Social Care plus a business incubation centre. The university also converted a former church into the Clifftown Studios to provide East 15 students with a theatre, studios and workshop spaces. This means the university has an operating theatre at each of its three campuses. The Social Science Research Centre was completed in February 2007, housing the Institute for Social and Economic Research and the UK Data Archive. A new building for the health and human sciences was opened in 2008, now named the Kimmy Eldridge Building in honour of Kimmy Eldridge who joined the university in 1994 to establish the Nursing and Health Studies Unit, now part of the School of Health and Social Care. The Centre for Brain Science opened in 2009 providing a new home for the Department of Psychology. In 2013, Queen Elizabeth II conferred upon the university the Regius Professorship, recognizing "50 years of excellence in research and education in political science at Essex." The first Regius professor was David Sanders of the Government Department, who held the post from 2014–2017. In December 2017 Kristian Skrede Gleditsch was appointed as the second Regius Professor. The university was involved in controversy relating to alleged anti-semitism during voting for the establishment of a Jewish student society in February 2019. In her article "Diary: Why I Quit" in the London Review of Books, the novelist and the chair of judges for the 2015 Man Booker International Prize Dame Marina Warner compared the University of Essex to "the world of Chinese communist corporatism where enforcers rush to carry out the latest orders from their chiefs in an ecstasy of obedience to ideological principles which they do not seem to have examined, let alone discussed with the people they order to follow them, whom they cashier when they won’t knuckle under." And in "The Strange Death of the Liberal University", Michael Bailey describes the university as a place that promotes "divisive competition, false economies and philistine instrumentality". The main campus, Wivenhoe Park, was once painted by famous landscape painter John Constable. It houses the main 1960s buildings along with Wivenhoe House, an 18th-century mansion that also features in Constable's painting. Wivenhoe House hotel was closed in December 2010 for major refurbishment and reopened in 2012 as a combined four-star country house hotel and hotel school. The Edge Hotel School was originally a partnership between the university and the Edge Foundation and is now a department of the university. It is the UK's first working hotel school dedicated to the development of future leaders of the hotel and hospitality industry. With its concrete architecture, the university is typical of England's 1960's universities. The architect of the campus, Kenneth Capon, took the Tuscan town of San Gimignano with its squares and towers as an inspiration (the university has six residential towers mainly for undergraduates, but the original plan was to build 29). As well as the towers, South Courts, The Houses, The Meadows and the University Quays residences provided enough space to guarantee every first year a place on campus as well as all overseas students. Due to its particular form of architecture involving the use of prefabricated concrete and glass, the university is referred to as a Plate glass university. 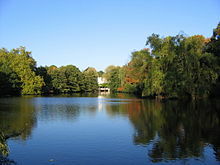 There are two small lakes on the Colchester Campus (in the middle of one is the Vice-Chancellor's house which was built at the same time as the university. The library has one of the few remaining still operating continuous loop paternoster lifts in the country. The Essex Business School building opened in 2015, believed to be the UK's first zero-carbon business school building, with a winter garden giving the building its own micro-climate and a rainwater pond recycling water to cool the building. The building includes a trading floor with Bloomberg terminals offering direct use of Bloomberg information. The building won the RICS Design through Innovation Award for the East of England. The Silberrad Student Centre and Albert Sloman Library extension opened in 2015. The project was received RIBA's Regional Building of the Year Award 2016 plus a national RIBA awards. The Forum Southend-on-Sea opened in 2013 and was a joint project between Essex, Southend-on-Sea Borough Council and South Essex College. The building was a runner-up in the 'Buildings that Inspire' category of The Guardian University Awards in 2015. In 2018, a STEM Centre opened to house the university's science departments and The Copse student accommodation opened offering 643 new single ensuite rooms and studios. The university is organised into three faculties, comprising 20 schools and departments, spanning the Humanities, Social Sciences and Science and Health. The Institute for Social and Economic Research (ISER) is a research centre for the analysis of panel data in Economics and Sociology. It opened in 1989 as the ESRC Research Centre on Micro-Social Change in Britain and now houses the ESRC-funded Understanding Society project, a longitudinal study of the socio-economic circumstances and attitudes of 100,000 individuals in 40,000 British households. In September 2000 the East 15 Acting School became part of the university. The school is based in Loughton in southwest Essex and has a branch in Southend. The School of Computer Science and Electronic Engineering was inaugurated on 1 August 2007. It was created by merging two long-established departments: The Department of Computer Science and the Department of Electronic Systems Engineering which both began in 1966. It has particular strengths in Robotics, Telecommunications, Artificial Intelligence and Logic and Computation. In 1999 a robotic football team from the department came third in the RoboCup 99 - part of the Robot Wars (TV series). Essex has a long tradition in Artificial Intelligence research. According to a report to UK Parliament, UK's AI research started in the 1950s and 1960s when the four major AI research centres at universities of Edinburgh, Sussex, Essex, and Cambridge were formed. In the Research Assessment Exercise 2014, 71% of Essex's submission in the Computer Science and Informatics unit of assessment was rated as level 4 - world leading - or level 3 - internationally excellent.In 2014, Essex's computer science was ranked among the best 101-150 computer science programs in the world (joint 8th in UK) according to ARWU. The university has stated it is prioritising new and existing partnerships at international and national level. The university has a number of international academic partnerships offering a range of dual degrees, double degrees and masters with universities in China, France, Germany, Japan, Russia and Singapore. This includes a double degree with Northwest University approved by the Ministry of Education in China. Essex also has link and friendship agreements plus progression arrangements with more than 100 higher education institutions around the world. Essex offers a range of degree courses in partnership with Kaplan Singapore. Essex also delivers postgraduate training in partnership with the Tavistock and Portman NHS Foundation Trust in London. partnership with Kaplan Open Learning offers online degrees through the University of Essex Online. University of Essex International College is a partnership between Kaplan International Pathways and the university offering degree preparation courses for international students at the Colchester Campus. The partnerships with Writtle University College near Chelmsford and the University of Suffolk now only cover students who commenced their studies prior to 2016-17 since both institutions have now been awarded university status. The University of Suffolk, formally known as University Campus Suffolk, was originally established as a joint venture with the University of East Anglia, with a central campus in Ipswich and five centres in Suffolk and Norfolk. From 2020 there will be no further enrolments to Essex awards at University Centre Colchester at Colchester Institute and the partnership arrangement with South Essex College in Southend is also being phased out. On two occasions Essex has been awarded the Queen's Anniversary Prize for Higher and Further Education, in 2009 for its "advancing the legal and broader practice of international human rights," and in 2017 for its "authoritative social and economic research to inform the policies of governments for the improvement of people’s lives." For many years Essex was among the smallest multi-faculty universities in Britain but its strategic plan 2013-19 set a target of expanding by around 50% to around 15,000 students. It was a member of the 1994 Group. It is now a member of the Young European Research Universities Network (YERUN) and Young Universities for the Future of Europe (YUFE) alliance. Essex has developed an international reputation for teaching and research. The annual Summer School in Social Science Data Analysis and Collection, celebrated its 50th year in 2017, more than 15,000 faculty and students from all over the world have completed courses through the Summer School over the past five decades. The Human Rights Centre at Essex was established in 1982. One of the first academic centres of its kind in the world, the work of the Human Rights Centre led to the university receiving a Queen's Anniversary Prize in 2010 for its work to promote human rights internationally. The University of Essex was rated in the top 20 in the UK in the Research Excellence Framework (REF 2014) and has been in the top 15 for overall student satisfaction for five years running, amongst mainstream English universities, according to the National Student Survey (NSS, 2017). The 1987 Nobel Peace Prize was awarded to Óscar Arias who completed his doctorate in Political Science in 1973. The 2010 Nobel Prize for Economics was awarded to Christopher Pissarides who gained his BA and MA degrees in Economics in the early 1970s. In 2016 former Essex academic Oliver Hart won the Nobel Prize for Economics. Derek Walcott, who received the 1992 Novel Prize in Literature, served as Professor of Poetry at the university from 2010 to 2013 before his retirement. Nationally, Essex was ranked 22nd overall in The Times and The Sunday Times Good University Guide 2018 and was shortlisted for its University of the Year Award in the same year. Essex was rated Gold in the Teaching Excellence Framework in 2017. The TEF Panel noted students from all backgrounds achieved outstanding outcomes with regards to continuation and progression to highly skilled employment or further study and outstanding levels of satisfaction with teaching, academic support, and assessment and feedback. Essex has been consistently ranked first for politics research and was once again ranked top in the Research Excellence Framework 2014 (REF2014) for politics and international studies. Essex was 19th overall, out of mainstream UK universities, according to the Times Higher Education's 'intensity' ranking for REF2014 which mapped university performance against the proportion of eligible staff submitted. Nine Essex subjects were ranked in the top 25 in the UK using this 'intensity' measure including sociology, economics, business and management, art history, philosophy, law, history and sport and exercise sciences. The university is ranked 251st-300th in the Times Higher Education World University Rankings 2018 and 352nd in the QS World University Rankings 2018. Essex is ranked in the top 50 for both the social sciences and law in the Times Higher Education World University Rankings 2018. Essex is also ranked 126th-150th for Business and Economics, 201st-250th for Arts and Humanities, and 175th-200th for Computer Science in the Times Higher Education World University Rankings. In the QS World University Rankings by Subject, Essex is ranked 36th for politics, 37th for sociology, 101st-150th for economics and econometrics, 101st-150th for linguistics, 151st-200th for English language and literature and 151st-200th for law and legal studies. According to the Times Higher Education 100 Under 50 rankings published in 2014, the university was placed 22nd, up seven places from the previous year. In 2018, it was ranked in the top 15 for overall student satisfaction out of English mainstream universities (defined by the university as non-specialist higher education institutions with a survey population of at least 500) for the sixth year running in the National Student Survey. The university has a very large population of international students, with over 5,000 international students in 2015. Nearly 50% of postgraduates and 40% of undergraduates are students whose country of origin is outside of the UK (including EU). The university boasts a large proportion of local students from state schools, and a third of its undergraduates are from working-class homes. Essex has an international character with 132 countries represented in its student body. The Times Higher Education World Rankings placed Essex joint 15th for the highest percentage of international students with 44.3% of students coming from outside the UK. Essex is also in the top 20 for 'international outlook' in these rankings - this indicator measures the proportion of staff and students from outside the UK alongside international collaboration on research. The University of Essex Students' Union is well regarded nationally with awards including: officially recognised as a leading Students’ Union by the Students’ Union Evaluation Initiative, awarded Investors In People status as a good employer, winner of Sound Impact Environmental Award for ethical and environmental performance, Sub Zero was voted ‘Best Student Venue in the UK’ at the Smirnoff BEDA Awards. Some of the major music bands to play in Sub Zero include AC/DC, Blur, Iggy Pop, The Kinks, Can, King Crimson, Pink Floyd, Radiohead, The Smiths and The Specials. The Students' Union runs the majority of commercial services on campus. Its shops stock imported food products, reflecting the university's international community. It has licensed venues including the SU bar and club-style venues: Frango's, Base, Top Bar, and Sub Zero (formerly the Underground and before that the Dancehall), which have hosted many bands and DJs. Sub Zero was voted best student union venue upon its refurbishment and is one of the biggest in the country, with a capacity of over 1,200. The Students' Union Bar underwent a £400,000 refurbishment in the summer of 2010. The Students Union employs about 380 student staff and 50 permanent staff to work in its shops, venues, etc. The University of Essex Students Union was the first SU in the UK to receive the 'Investors in people Gold' award in late 2009. The Students' Union underwent reform in 2007-8, in which the trustee and executive functions were separated, and greater voice was given to satellite campuses. The Executive Committee is composed of seven full-time officers and ten part-time officers. In 2016, students tried to change the constitution in order to introduce an 11th part-time officer, the working class officer. This referendum failed by 3 votes. Essex students have voted to leave the National Union of Students in an All Student Vote which took place in 2017. A total of 1026 votes were cast across the three campuses (845 Colchester, 132 in Southend and 46 in Loughton) with 59% in favour of disaffiliating from the national body. In 2018, the student body voted to change the way the Students' Union in a referendum where there is a Student Parliament that represents students and holds the officers accountable. The Students' Union newspaper and radio, is called Rebel. Student sports teams are known as the Essex Blades and there are 40 clubs covering a range of sports including football, rugby union, netball and cricket, as well as in non-traditional sports such as korfball, ultimate frisbee, pole dancing and cheerleading. Essex invests significantly in three 'focus sports', volleyball, basketball and rugby sevens. National successes in these sports include winning the men’s team winning the Volleyball England National Student Cup in 2017 and the women’s basketball team winning the Basketball England National Cup in 2016. The men’s basketball team won the Basketball England National League Division 4 and the British Universities and Colleges Sport (BUCS) National Trophy in 2017. A number of National Governing Bodies have partnerships with the university including the Football Association, England Rugby, the Lawn Tennis Association, Basketball England, and Volleyball England. Essex is also a "Sport England Talented Athlete Scholarship Scheme Delivery Centre". Great Britain and England teams use the university’s sporting facilities for training camps, and the facilities also play host to a wide range of sporting competitions such as county and regional championships. The Colchester Campus is also home to one of the longest-established disc golf courses in the UK which has hosted many international championships including the World Team Disc Golf Championship in 2017. Once a year, 'Derby Day' is a sports contest between the University of Essex clubs and the University of East Anglia sport teams. The event is hosted alternately by Essex and UEA. Essex has established the Knowledge Gateway research and technology park at its Colchester Campus with a long term aim of providing employment for more than 2,000 people. The first phase of Parkside Office Village and the new £21m Essex Business School are the first buildings to have been completed. The second phase of Parkside Office Village will open in autumn 2018 and a new £12m Innovation Centre is due to open in 2019. The innovation Centre will provide a home to more than 50 start-ups and has been supported with substantial funding from Essex County Council and South East Local Enterprise Partnership. Essex's Research and Enterprise Office connects businesses with academic expertise and also offers business support. in December 2017 Essex was the leading university in the East of England and London for Knowledge Transfer Partnerships, the flagship Innovate UK programme, with 23 active projects. Notable alumni in the field of politics and government include Óscar Arias, the former President of Costa Rica, who completed his doctorate in Political Science in 1973 and received the Nobel Peace Prize in 1987. Kevin Casas Zamora, the former Vice President of Costa Rica (MA 1993). In October 2010, the Nobel Prize in Economics was jointly awarded to Christopher A. Pissarides, who had completed his BA and MA in Economics in the early 1970s. Other political figures educated at Essex include the foreign ministers of Slovenia (Dimitrij Rupel) & Iraq (Hoshyar Zebari), Conservative Party MPs Virginia Bottomley, Priti Patel and John Bercow, now Speaker of the House of Commons, Labour Party MP Siobhain McDonagh, Labour Party MEP John Howarth, Speaker of Bangladesh’s Parliament Shirin Sharmin Chaudhury, Pakistani social activist Omar Asghar Khan, South African politician Thozamile Botha and Singapore social activist James Gomez (MA 1994). Two of those convicted of conspiracy to cause explosions connected to The Angry Brigade, Hilary Creek and Anna Mendleson, had been to Essex University but left without completing their degrees. Notable alumni in the field of the humanities and media include Stephen Daldry and Mike Leigh, who both studied at the East 15 Acting School (part of the university since 2001), artistic director William Burdett-Coutts (MA Drama), documentary filmmaker Nick Broomfield, filmmaker David Yates, artist and art collector Robert Priseman, writer and graphic artist Tom Raworth, the TV comedy producer Geoff Posner, the Malaysian poet Kee Thuan Chye, the BBC Correspondent Brian Hanrahan, fashion designer and Fashion Revolution founder Carry Somers, the novelists Jonathan Wilson, John Lawton and novelist Ben Okri, a recipient of the Booker Prize. Musicians include jazz guitarist John Etheridge and jazz saxophonist Gilad Atzmon. In the field of architecture, architect Daniel Libeskind, who was commissioned to rebuild the World Trade Center Site in New York City (MA in the History and Theory of Architecture, 1972). The architectural historian Alberto Pérez-Gómez, subsequently head of the History and Theory of Architecture program at McGill University in Canada (M.A. and PhD, 1975). Notable alumni in law include Mark Watson-Gandy, an award-winning barrister. Many of the university's graduates have gone on to staff university departments worldwide. These include Erkin Bairam (Economics, Otago), Kusuma Karunaratne (Sinhala, Dean of the Faculty of Graduate Studies, and Vice-Chancellor, Colombo), Farish A. Noor (NTU), Michael Taylor (Politics, Washington) and Jean Drèze (London School of Economics and Political Science, Delhi School of Economics). It has been estimated that half of the sociology professors in UK Higher Education have completed all or part of their education at Essex. ^ a b "Financial statements - University of Essex". Essex.ac.uk. ^ "Essex SU - Sport". Essexstudent.com. Retrieved 19 August 2017. The Essex Blades are the collective name for all our sports teams and clubs who represent the university, as well as just for fun. ^ "Our partner institutions | University of Essex". www.essex.ac.uk. Retrieved 20 November 2018. ^ "World University Rankings". Times Higher Education (THE). 26 September 2018. Retrieved 5 October 2018. ^ "Our Essex Spirit secures highest ever ranking | University of Essex". Retrieved 18 December 2017. ^ "Essex ranked in Top 30 in The Complete University Guide 2019 | University of Essex". Retrieved 5 October 2018. ^ TES. "Times Higher Education Awards 2018 - 2018 winners". www.the-awards.co.uk. Retrieved 30 November 2018. ^ "Essex confirmed among research elite". Essex University. 18 December 2008. Archived from the original on 25 January 2013. Retrieved 21 October 2012. ^ "World University Rankings 2018 by subject: social sciences". Times Higher Education (THE). 12 September 2017. Retrieved 14 December 2017. ^ "World University Rankings 2018 by subject: law". Times Higher Education (THE). 27 September 2017. Retrieved 14 December 2017. ^ "University of Essex: Wyvern". Archived from the original on 9 January 2014. Retrieved 9 January 2014. ^ Lipsett, Anthea (18 October 2013). "Former radical appointed students minister". The Guardian. Retrieved 7 November 2013. ^ "Essex May 1968 - timeline". www.essex68.org.uk. Retrieved 14 January 2019. ^ "'Traumatic' student protests remembered". 7 May 2018. Retrieved 14 January 2019. ^ "Essex University – British History Online". Retrieved 1 August 2008. ^ Lecture hall shortlisted for award Archived 22 February 2015 at the Wayback Machine, University of Essex, UK, 10 March 2008. ^ Shining light in Essex: Ivor Crewe Lecture Hall, World Architecture News, 10 June 2008. ^ "BBC News – Prince calls £6m hall 'a dustbin'". 16 February 2008. Retrieved 4 August 2008. ^ "'Dustbin' lecture hall wins award". BBC News. 13 March 2008. Retrieved 2 August 2008. ^ "University honours Vice-Chancellor". University of Essex. 3 April 2007. Archived from the original on 11 February 2008. Retrieved 29 February 2008. ^ "University of Essex: Raising expectations on the east coast". The Independent. London. 13 March 2008. Retrieved 2 August 2008. ^ "Obituary: Professor Kimmy Eldridge OBE - News - University of Essex". www1.essex.ac.uk. Retrieved 15 January 2019. ^ Smith, Chloe (29 January 2013). "The Queen awards prestigious Regius professorships to twelve universities - GOV.UK". Gov.uk (Press release). ^ "News - Department of Government - Royal recognition for Essex expert on British politics". University of Essex (Press release). 5 February 2014. Retrieved 12 December 2017. ^ "Peace researcher receives royal approval to become a Regius Professor | University of Essex". University of Essex (Press release). 11 December 2017. Retrieved 12 December 2017. ^ Marina Warner (11 September 2014). "Diary: Why I Quit". London Review of Books. pp. 42–43. ^ Michael Bailey (2 April 2015). "The Strange Death of the Liberal University". OpenDemocracy.net. ^ "Wivenhoe House / Luxury Hotels Essex / Wedding Venues Essex / Corporate Event Venues". Wivenhoehousehotel.co.uk. Retrieved 5 August 2012. ^ "Big Wins at RICS Regional Awards". Bdp.com. Retrieved 15 January 2018. ^ "Silberrad Student Centre". Pateltaylor.co.uk. Retrieved 15 January 2018. ^ Thomas, Kim (19 March 2015). "Buildings that inspire category: award winner and runners up". The Guardian. ISSN 0261-3077. Retrieved 15 January 2018. ^ "'Rare venture' made library possible". BBC News. 29 September 2013. Retrieved 21 November 2018. ^ Geater, Paul. "Essex University's new science building due to open later this year". East Anglian Daily Times. Retrieved 15 January 2019. ^ "The Copse - Accommodation - University of Essex". www1.essex.ac.uk. Retrieved 15 January 2019. ^ "University of Essex :: Departments". Essex.ac.uk. Retrieved 20 November 2018. ^ "Home". Understanding Society. 21 March 2012. Retrieved 5 August 2012. ^ "School of Computer Science and Electronic Engineering :: The School :: History". Essex.ac.uk. Retrieved 5 August 2012. ^ "AI in the UK: ready, willing and able? (Appendix 4)" (PDF). UK Parliament. Retrieved 30 October 2018. ^ "Results & submissions : REF 2014 : View results and submissions by UOA". results.ref.ac.uk. Retrieved 13 December 2017. ^ "Academic Ranking of World Universities in Computer Science". Academic Ranking of World Universities. Retrieved 30 October 2018. ^ "Essex University and college to part ways". Gazette. Retrieved 15 January 2019. ^ "Our partner institutions - Partnerships - University of Essex". 1.essex.ac.uk. Retrieved 17 December 2017. ^ "Success of new joint degree programme between Essex and Northwest University in China | University of Essex". www.essex.ac.uk. Retrieved 15 January 2019. ^ "Kaplan Singapore - Partnerships - University of Essex". 1.essex.ac.uk. Retrieved 17 December 2017. ^ "Opening of University of Essex International Campus | University of Essex". www.essex.ac.uk. Retrieved 15 January 2019. ^ Mike Coe. "College". Writtle.ac.uk. Retrieved 5 August 2012. ^ "University of Suffolk wins independent status". University Business. Retrieved 17 December 2017. ^ Lodge, Will. "Writtle College achieves university status". East Anglian Daily Times. Retrieved 17 December 2017. ^ "University Centre | South Essex College". www.southessex.ac.uk. Retrieved 15 January 2019. ^ "Twelfth round Prize-winners announced at St James's Palace 30th November 2017". The Royal Anniversary Trust (Press release). 30 November 2017. Retrieved 12 December 2017. ^ "Previous Prize-winners". Royalanniversarytrust.org.uk. Retrieved 12 December 2017. ^ "Our strategic plan | University of Essex". www.essex.ac.uk. Retrieved 15 January 2019. ^ "UM leads Young Universities for the Future of Europe alliance". www.maastrichtuniversity.nl. Retrieved 15 January 2019. ^ "General Info – Essex Summer School". Essexsummerschool.com. Retrieved 17 December 2017. ^ "Essex Summer School – The Summer School attempts to give places in courses to participants who command over the required skills". Essexsummerschool.com. Retrieved 17 December 2017. ^ "Previous Prize-winners". Royalanniversarytrust.org.uk. Retrieved 18 December 2017. ^ a b "REF results | University of Essex". Essex.ac.uk. Retrieved 18 December 2017. ^ "National Student Survey 2017". Essex.ac.uk. ^ "University of Essex awarded top Gold rating in Teaching Excellence Framework | University of Essex". Retrieved 18 December 2017. ^ "Results & submissions : REF 2014 : View results and submissions by UOA". results.ref.ac.uk. Retrieved 18 December 2017. ^ "REF 2014: winners and losers in 'intensity' ranking". Times Higher Education (THE). 19 December 2014. Retrieved 18 December 2017. ^ "World University Rankings". Times Higher Education (THE). 18 August 2017. Retrieved 18 December 2017. ^ "QS World University Rankings 2018". Top Universities. 5 June 2017. Retrieved 18 December 2017. ^ "Excellence in computer science recognised in global rankings". University of Essex. Retrieved 30 January 2019. ^ "University of Essex". QS World University Rankings. Retrieved 18 December 2017. ^ "THE 100 Under 50 universities 2014". Timeshigherecucation.co.uk. Retrieved 27 March 2015. ^ "Essex still one of the best for student satisfaction | University of Essex". Retrieved 21 November 2018. ^ "University of Essex :: About us". Essex.ac.uk. Retrieved 19 April 2015. ^ "International student table 2017: top 200 universities". Times Higher Education (THE). 26 April 2017. Retrieved 14 December 2017. ^ "World University Rankings". Times Higher Education (THE). 18 August 2017. Retrieved 14 December 2017. ^ "University of Essex - About us - Facts and Figures". Essex.ac.uk. Archived from the original on 13 October 2012. Retrieved 23 October 2012. ^ "Wyvern : News : January 2010". Essex.ac.uk. Archived from the original on 9 May 2013. Retrieved 5 August 2012. ^ "Working-class warriors for universities". Thetimes.co.uk. Retrieved 26 February 2016. ^ "National Union of Students". Essexstudent.com. ^ "Referendum Motion". Essexstudent.com. Retrieved 23 March 2018. ^ "Login". Essexstudent.com. Retrieved 23 March 2018. ^ "Essex SU - Sport". Essexstudent.com. Retrieved 14 January 2018. ^ "Student Cup 2016-17 Champions Crowned!". Volleyball England. Retrieved 14 January 2018. ^ "Essex Blades lift the Basketball England National Cup". Gazette. Retrieved 14 January 2018. ^ "Essex Blades Men's Basketball Club". Essexstudent.com. Retrieved 14 January 2018. ^ "Essex Sport Arena Opening | University of Essex". Retrieved 14 January 2018. ^ "Performance Sport - Sport - University of Essex". 1.essex.ac.uk. Retrieved 14 January 2018. ^ "International disc golf tournament coming to Colchester Campus | University of Essex". Retrieved 14 January 2018. ^ "Knowledge Gateway | University of Essex". Essex.ac.uk. Retrieved 14 January 2018. ^ Townsend, Emily. "Expansion plans at multi-million pound University of Essex research park boosted by council cash injection". East Anglian Daily Times. Retrieved 14 January 2018. ^ "AI projects propel Essex University into UK top five | Business Weekly | Technology News | Business news | Cambridge and the East of England". Businessweekly.co.uk. Retrieved 14 January 2018. ^ "University of Essex Profile – The Independent". London. 16 June 2009. Retrieved 2 August 2008. 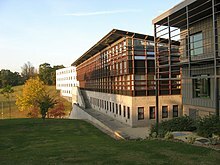 Wikimedia Commons has media related to University of Essex.